Photo by Joshua Kissi, courtesy of Kente Gentlemen. 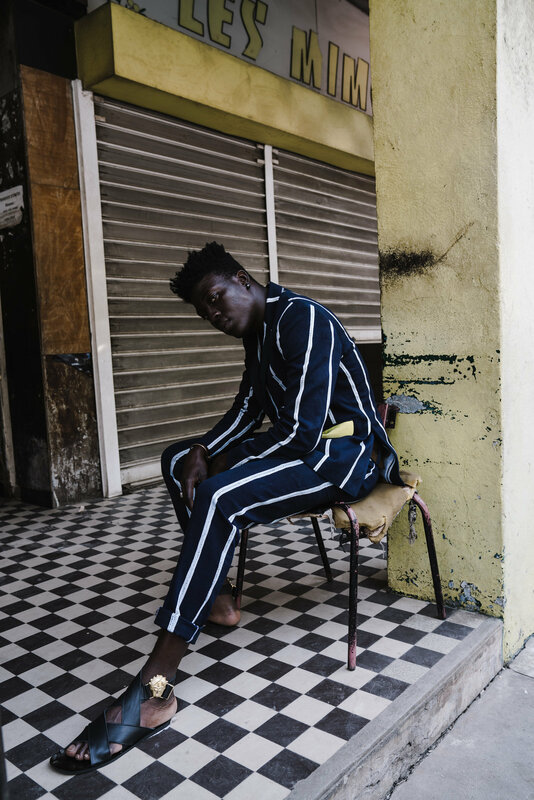 Ivorian designer Aristide Loua shares his newest, colorful kente threads with OkayAfrica. 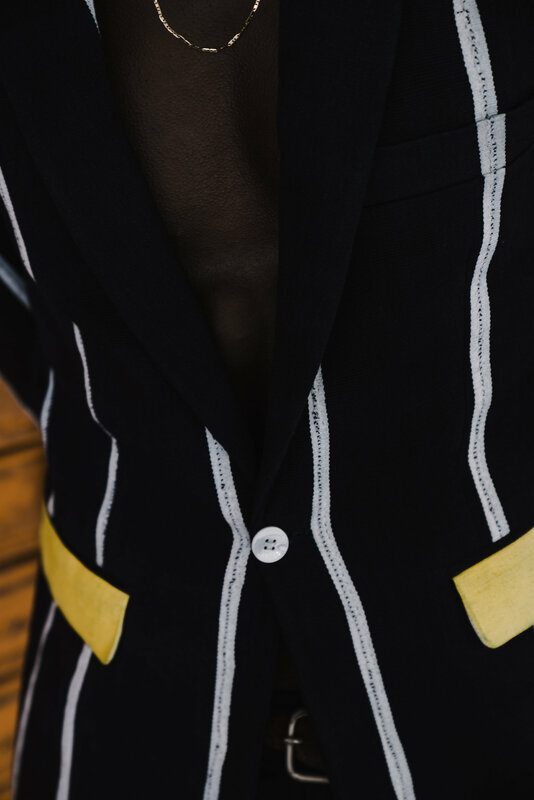 Côte d'Ivoire's own Aristide Loua is the mind behind the brand, Kente Gentlemen. 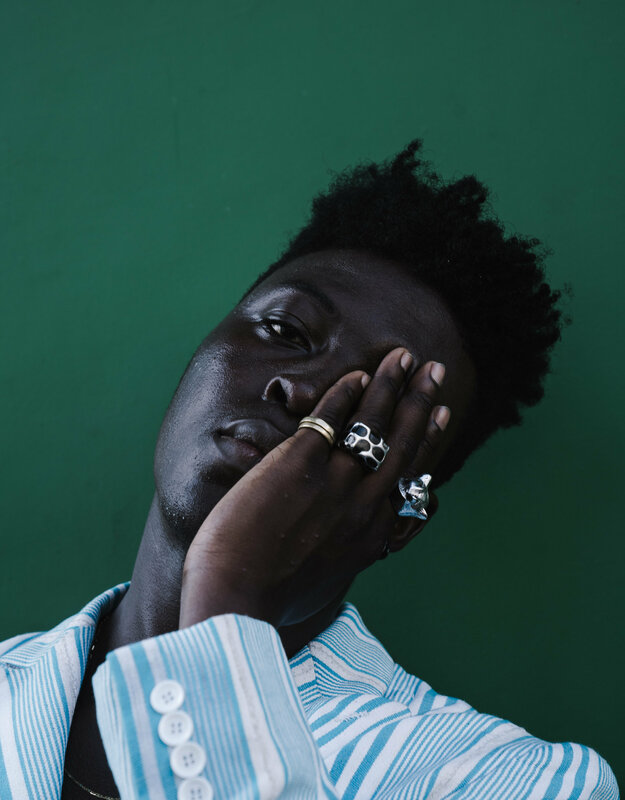 Launched in 2017, the brand's story is one of a young man who fell in love with kente—the traditional material native to the Akan ethnic group. Where kente cloth varies in design and patterns, Loua fittingly draws inspiration from poetry, cultures and colors. 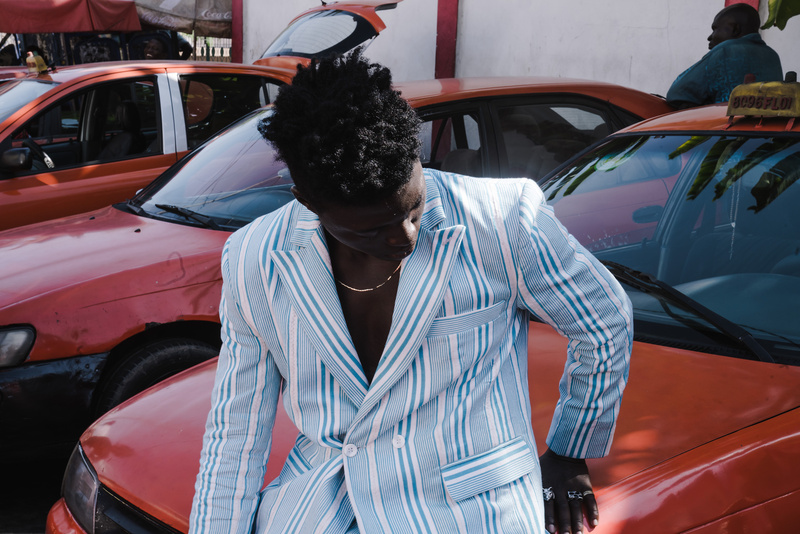 Having lived in Côte d'Ivoire, India and all over the United States, Kente Gentlemen is Loua's passion project that encompasses everything he has experienced in his travels. 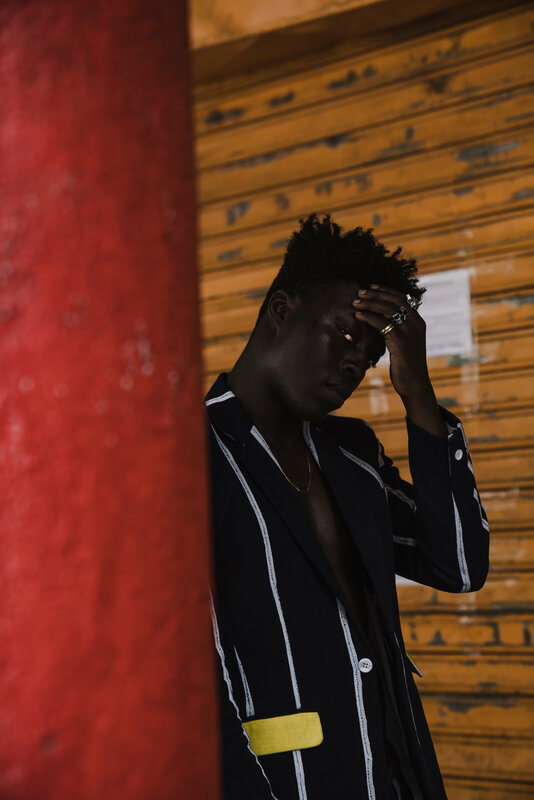 "In such an interconnected world, Kente Gentlemen is a means to discover, value, celebrate, and foster our diverse sociocultural heritage and identities through fashion, aesthetics, photography and other visual arts," Loua says. His collections are comprised of homegrown fabrics that are meticulously cut and sewn. There's a communal effort as hand-weavers, tailors, artisans and vendors work together seamlessly. Sodade, his latest Autumn/Winter 18-19 collection, forms a relationship between colors and emotions. "Each color is an emotion. Blue represents hope. Pink—romance. Yellow—happiness," he explains. "And the dark color speaks for sorrow, or despair." He examines the volatility of his emotions: "Sometimes I feel a bit of romance...other times, I feel hope for a bright future. I rejoice in happiness, even when my soul drowns in an ocean of sorrow." 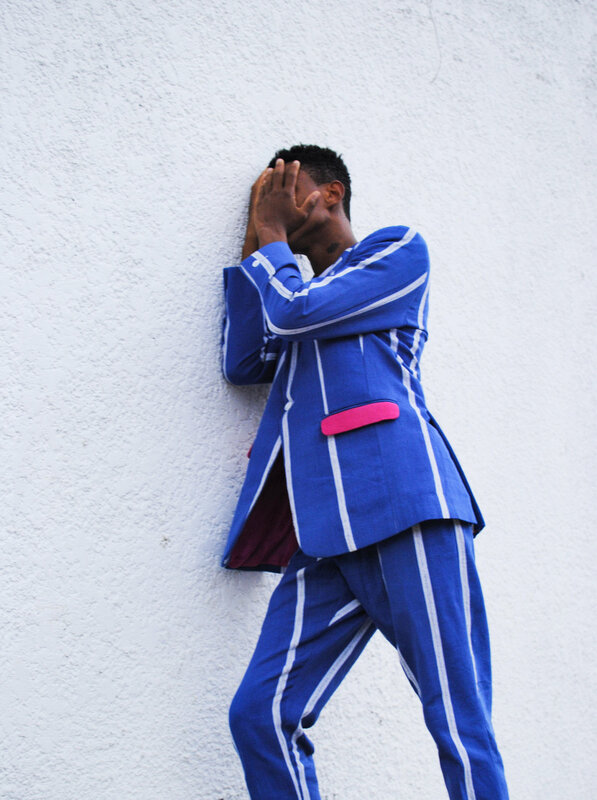 The suit jackets, though dark, are distinguishable by flaps of bright colors for pockets and lining as a means of normalizing and accepting every emotion as it comes. Loua combats a society that attempts to dictate how we should feel, at any given time. He also affirms, "When you have the means or the luxury to wear exactly what you are and what you want in your life, your clothes become the reflection, the outlet of your being, of your personality, of your style, of your dreams and most certainly of your emotions." 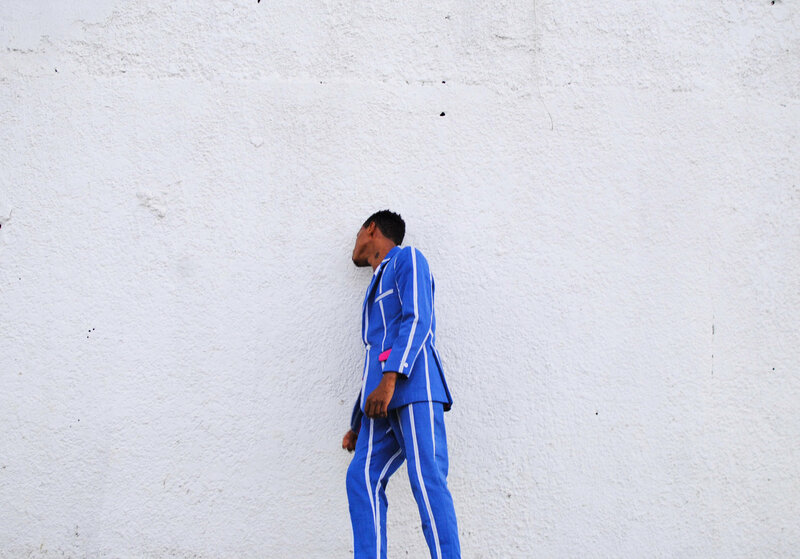 Check out our favorite shots from Kente Gentleman's lookbook for Sodade below. Photo by Alexandre Tako, courtesy of Kente Gentlemen.